The 2016 retrospective from mobile app analytics firm App Annie reaffirms the conventional view of app stores: Google Play (Android) accounts for more downloads, but Apple's App Store (iOS) makes more money for developers. However, the new report also points out the value to be gained from a large number of downloads. Highlighting "mobile's continued momentum," the new report reflects previous research efforts that point to the greater money-making opportunities for iOS developers. Apple itself recently announced that iOS devs saw a 40 percent revenue jump last year over 2015. 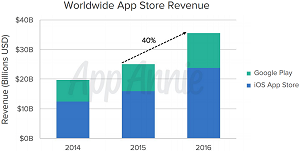 The App Annie retrospective bears out that 40 percent yearly growth rate across both stores (though it pegs App Store revenue growth at an even higher number) and the better revenue opportunities associated with iOS development. "Revenue on the iOS App Store alone grew by nearly 50 percent in 2016, increasing its lead as the highest revenue-generating platform," the report stated. It also reinforces the greater reach and download numbers of Google Play. "Worldwide download growth in 2016 followed roughly the same trajectory as in the previous year," the report stated. "This resulted in annual downloads reaching over 90 billion, an increase of more than 13 billion across the iOS App Store and Google Play. As in 2015, Google Play accounted for most of this growth." However, there's more to the story concerning this accepted wisdom, which mobile developers might want to take into account while planning their 2017 platform strategies. "While app store revenue continues to soar, it represents less than half of all revenue in the app economy," the report said. "When we include third-party Android stores and advertising revenue, the 2016 total amount paid to publishers increases to nearly $89 billion." Also, App Annie said, more downloads provide key benefits of their own, stating that downloads pave the way for revenue. In the early stages of market maturity, downloads grow most rapidly as the installed base of devices begins to take off, and new device owners begin to build up their app collection. Over time, app habits develop as users become more engaged with their go-to apps and overall time spent in apps expands. This increased engagement leads to revenue growth via in-app advertising, in-app purchases, and m-commerce that takes place outside of app stores (e.g., ordering a ride or purchasing an item for delivery). 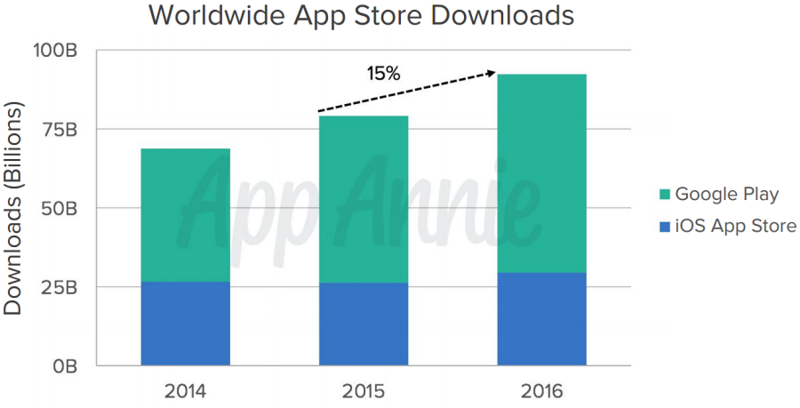 App Annie noted an impressive expansion of app monetization -- along with app usage -- in three major markets that are more mature than relative upstarts (like China): the U.S. Germany and Japan. 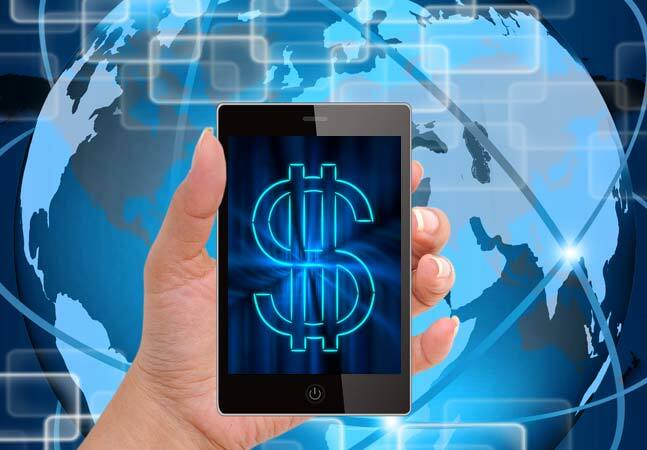 "This is good news for both established and up-and-coming apps," the company said. "Ultimately, this is further proof of the point that we have made in past reports, such as the 2015 Retrospective: Major download growth early on lays the foundation for later revenue and usage gains." Also, even though China might not have an app ecosystem as mature as other markets, it's clearly the standout, tough new kid on the block, demanding that it be reckoned with. App Annie indicated Apple recognized this and focused major efforts on penetrating the country, which resulted in China accounting for the most iOS revenue in 2016, dramatically dwarfing the U.S. and Japan. "As a publisher, if you aren't in the China app market, you may be missing out," the report stated.